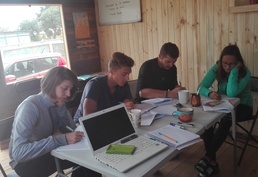 The language school Huara Spanish School was founded in Pichilemu, Chile in 2013. 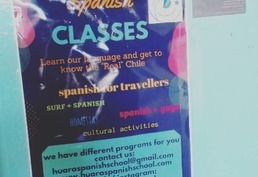 The school is located in a nice neighborhood, 15 minutes walking distance from Pichilemu downtown, which is also close to Punta de Lobos, the main surf spot in Chile. There are stores close to the school and house. It is a very quiet place to stay, surrounded by nature and calm. Generally course material is distributed free to students and will stay in student property. Read our recommendations for students over 30. In 2019 (including national and regional bank holidays): 01.Jan.2019, 20.Apr.2019, 18.Sep.2019, 19.Sep.2019, 20.Sep.2019, 01.Nov.2019, 01.Nov.2019, 25.Dec.2019. Only limited places left for the summer months! 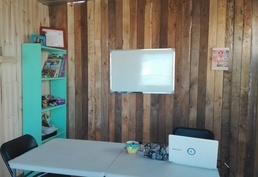 Note: All courses offered by Huara Spanish School, Pichilemu can be reserved online with LanguageCourse.Net. In case a course is not listed above, just mention the course description in the comment field of the online registration form. Individual classesSingle individual lessons of tuition can be reserved at 16 US$. 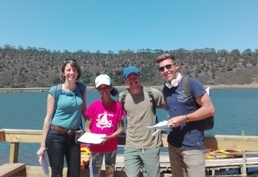 The combination of group and individual lessons is highly recommended. Individual lessons will encourage you to actively speak the foreign language and will offer you the opportunity to discuss individual problems and weaknesses. Tip: Type of accommodation. What is best for you? 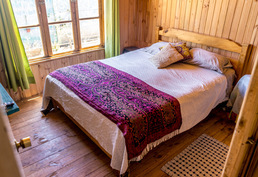 Reserve as early as possible to get the best available homestay! This is a great opportunity to learn our language and experience Real Chilean life, you will be part of a family and enjoy family activities. Food will be provided and most of the meals will be with the family (depending on their schedules) No extra nights bookable. Bedding/linen, Weekly cleaning, Access to Wifi in building (Free WIFI), Heating, Breakfast & 1 meal, Shared bathroom. This room is comfortable, it has a bunk bed with drawers for personal belongings. 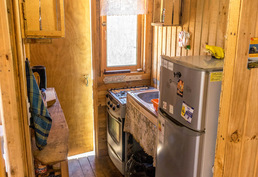 It has access to shared bathroom and shared kitchen, there is fridge available. No extra nights bookable. Bedding/linen, Weekly cleaning, Access to Wifi in building (Free WIFI), Heating, No meals, Shared bathroom. This room has a double bed, cable TV, closet, linen is included and weekly cleaning. No extra nights bookable. TV, Bedding/linen, Weekly cleaning, Access to Wifi in building (Free WIFI), Heating, No meals, Shared bathroom. 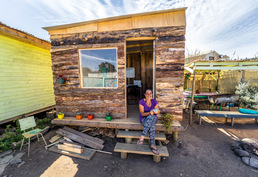 Homestays are a perfect way to really learn Spanish and get to know the real Chile. The families are used to being with foreign students and their purpose is to make them feel at home. 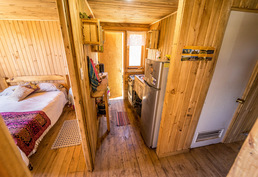 All the rooms are single, there is a kitchen available, wifi connection, shared bathroom, common areas with the families. Do you need an airport transfer? Here you ALWAYS pay less. Guaranteed. 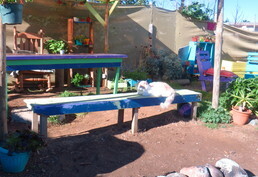 Do you know someone in particular with whom you would love to explore life in Pichilemu? Just tag them in your post to Facebook or send them a link to this page in a message or email. For any additional questions please call +1-646 503 18 10 or use our contact form. A PDF with a quote for Huara Spanish School is being sent to your email. Keep it for your reference or share it with someone else if you like. Your query has been sent to Huara Spanish School to confirm availability of your chosen course on your requested dates. You can book any course offered by the school with us! By registering here you benefit from our preferential payment and cancellation terms, other booking benefits, and the lowest price. You will pay less registering here than when booking directly with the school. Request sent to Huara Spanish School. Your assigned consultant [agent] will be in touch shortly as soon as the school replies! The most courses: 10.966 language course programmes listed. No other site worldwide has more.